Since I was born in mid eighties, I’ve never experienced real 74xx build. Few gates here and there was common, but lager designs were practicaly uneeded – as microcontrollers, CPLDs or FPGAs replaced need for such as work. 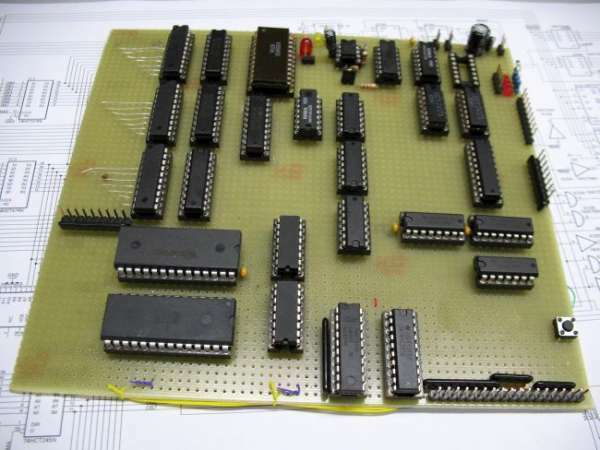 But my posession in vintage systems and desire to understand inner working principles of modern devices brought me to design of simple CPU made of simple 74xx devices. This entry was posted on Thursday, November 1st, 2012 at 7:00 pm	and is filed under 7400 contest, contest. You can follow any responses to this entry through the RSS 2.0 feed. You can skip to the end and leave a response. Pinging is currently not allowed.